Somali-born detainee of the US military detention center in Guantanamo Bay Guleed Hassan Dourad said that he had experienced mental torture in his cell daily since he was moved to Camp 7 in 2006. GUANTANAMO BAY NAVAL BASE (Sputnik), Joanne Stocker — Detainees housed in Camp 7 at the US military detention center in Guantanamo Bay, Cuba are subjected to daily mental torture in their cells, Somali-born detainee Guleed Hassan Dourad testified before a military commission at the base on Thursday. "I experienced noises, smells, and the vibrations [in the cell]…That’s what made me come here [to court] to testify that we have mental torture in Camp 7," Guleed said. 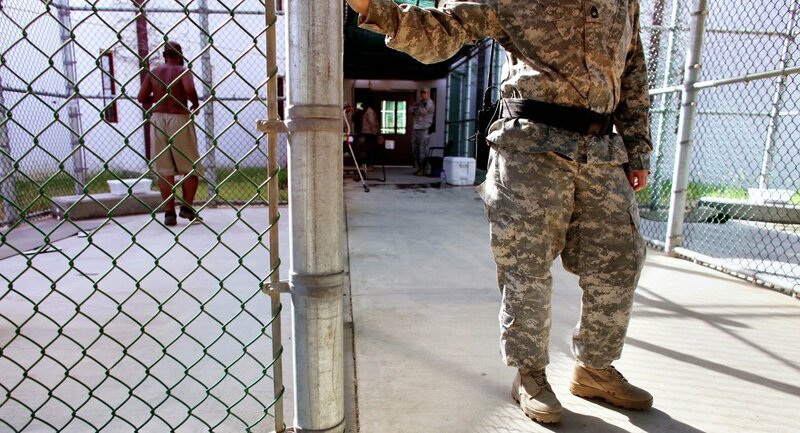 US authorities had moved Guleed to Camp 7 in 2006 from another site in the Guantanamo Bay detention facility. Guleed explained he had experienced mental torture in his cell daily since 2009. He noted that he had stopped complaining about the sensations because the guards and camp commander ignored his protestations or escalated the torture after he complained. Guleed testified that other Guantanamo Bay detainees, including alleged September 11 plotter Ramzi bin al-Shibh and Abu Zubaydah, have experienced similar sensations. Lawyers for bin al-Shibh had requested Guleed testify to establish that their client’s complaints were well-founded. Prosecutors have alleged that bin al-Shibh made up or imagined the vibrations. The US government has never charged Guleed with a crime. On Thursday, he testified that he has not had access to a lawyer since he was taken into US custody in 2004.